Some of you may know who Steve Buck is and some of you won’t. Regardless of your preconceived notions of who he is I’ll tell you, he is a legend. I have had the privilege of fishing with Steve for years now. 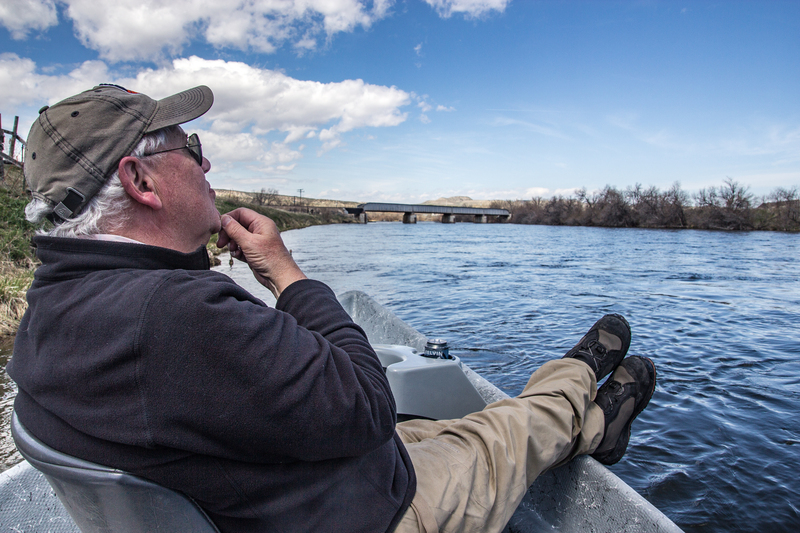 We have had some incredible times together exploring some of the best rivers in the West. You can look back at some of these older blogs here and here, to read about some of our adventures together. The night before our fishing trip we met at his place to have a scotch, elk medallions, and king crab legs to talk about our plan for the next few days. We eventually got into the wine and stayed up way too late. 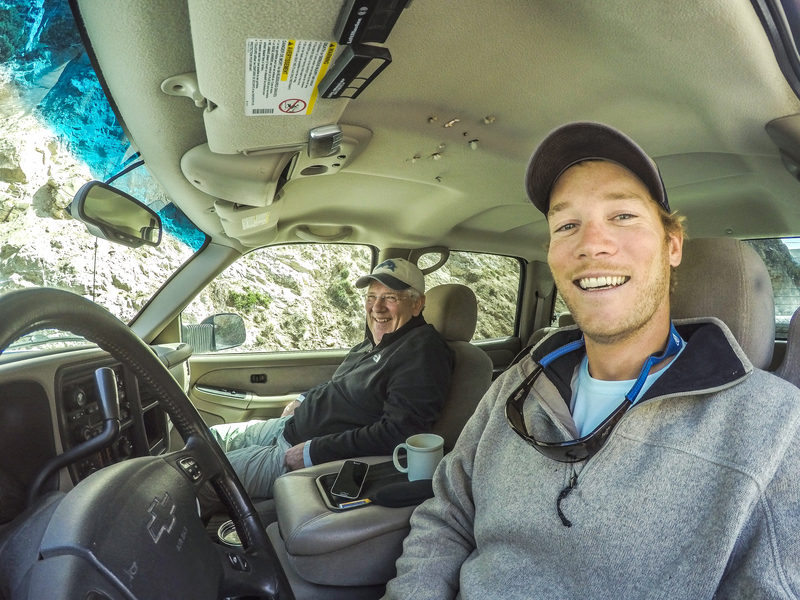 Nevertheless, I picked him up at 7 am and after filling our coffee mugs and throwing some gear in the car, we were on our way to the upper Nunya river. The next couple days were epic. Although the water was very high we were able to work hard for it and came out on top. 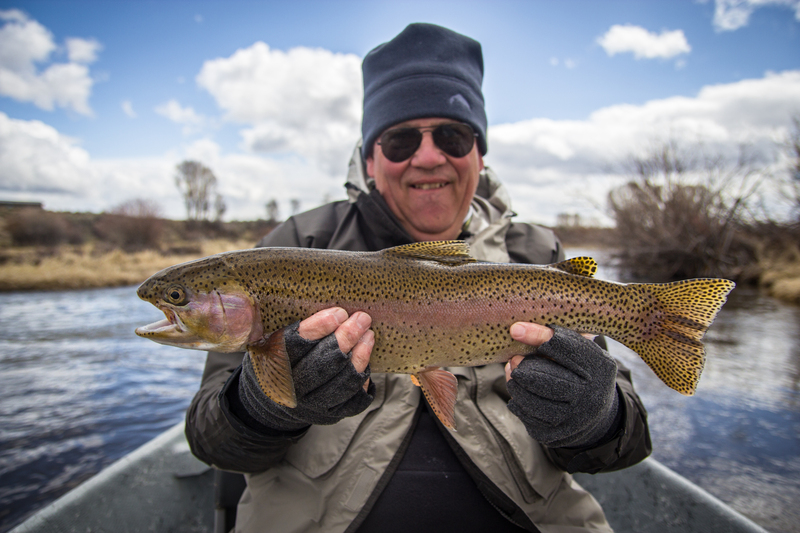 There were a few memorable riffles that produced the most fish. We were certainly lucky to find them. 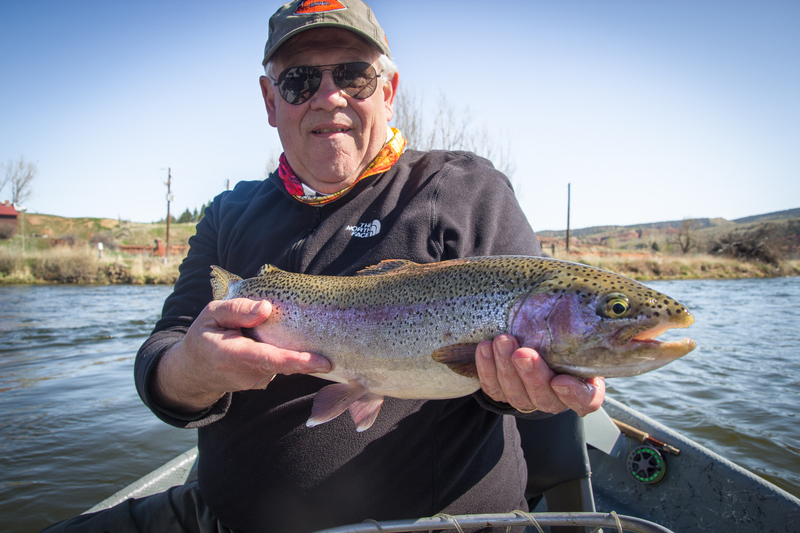 Steve put on a hook stetting clinic that day and caught many nice rainbow and brown trout. We found a nice hotel that night and found an even nicer brewery where we ate smoked brisket and burgers and had a great night chatting with this rock climber guy who was a sort of loner but an all around nice guy who wanted our company. This spot produced around 10 fish for us. It was insane how many fish we caught in that little riffle. 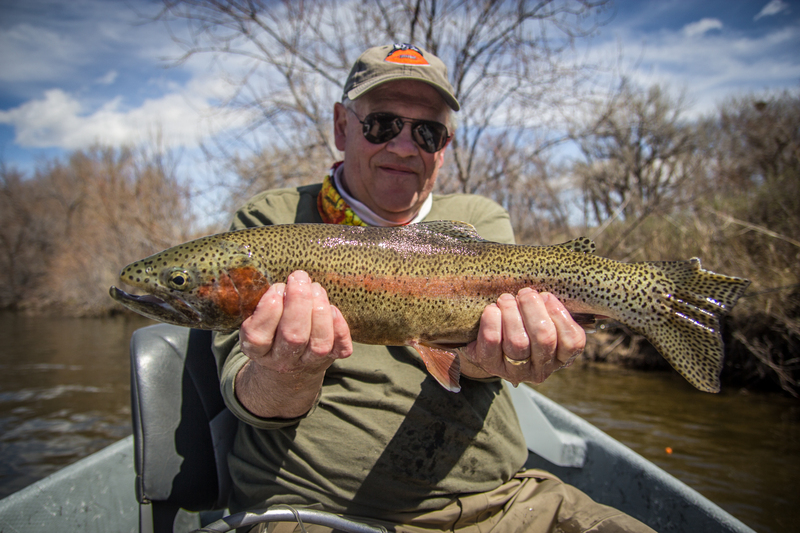 This beautiful 21 inch rainbow fell for a tiny red zebra midge, one of the smallest flies in fishing. What a great way to kick off spring. 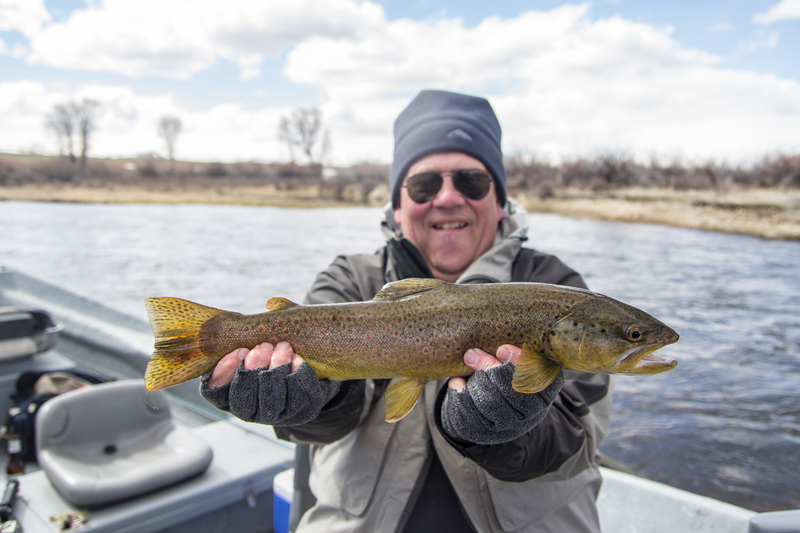 Thanks Steve for joining me on a great early season float trip!